Are you in the loop? You will be, especially if you have LoopRope, a bungee system that is better than those regular bungee cords that we all have. LoopRope is a strong elastic cord with extra “loops” along the length of the rope plus loops at either end instead of hooks. The loops allow you to fully adjust the overall length of the cord using one of the two stainless steel “LoopClips”, which are like double gated carabiners. The loops are also handy for providing extra points of attachment for your gear. 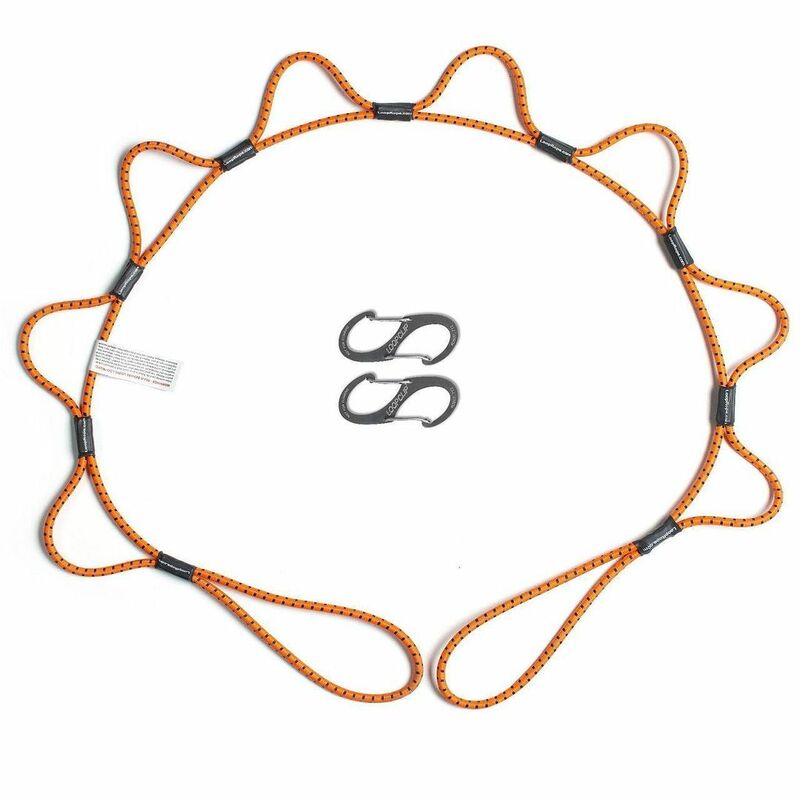 It’s a versatile cord that can be used to tie down your luggage on your car roof, secure your kayak, keep items from moving around in your trunk, hang your food and gear at your campsite, and much more. Make sure you are in the loop with LoopRope!